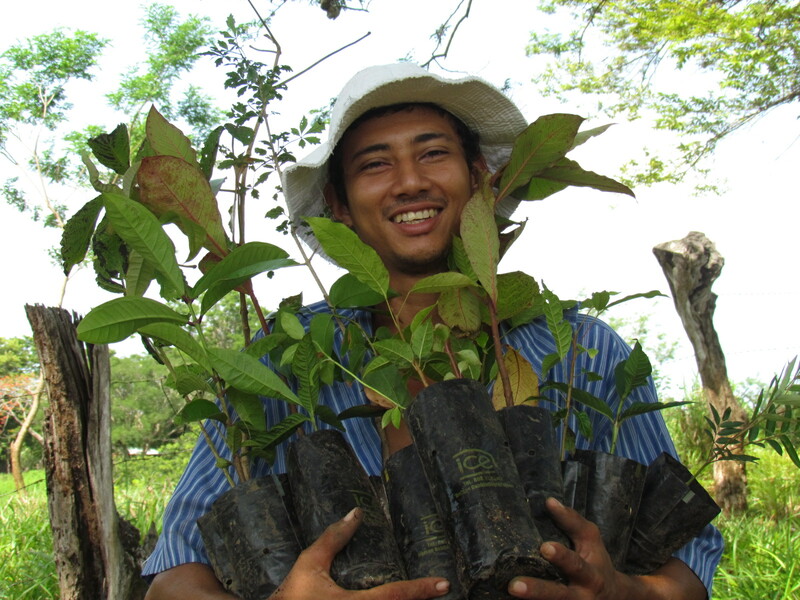 In 2017 we launched our largest reforestation project to date. 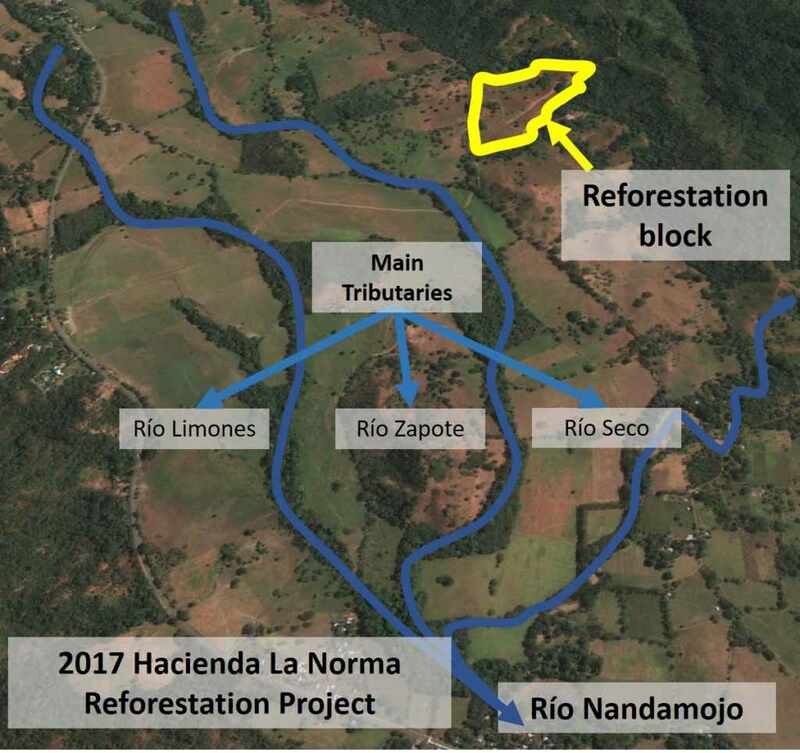 Through a partnership with Hacienda La Norma, home of Pura Aventura Canopy tour and one of the largest intact farms in the watershed, we took on the challenge of replanting a 30-acre cattle pasture. Located in the foothills just above the confluence of the Nandamojo river’s three main tributaries (see map below), the site is an important space for the recharge of aquifers and waterways. This year, we started by planting about 700 saplings in total, using a mix of native species that provide multiple benefits for fauna, flora and human communities. The task has not been easy; we have been forced to send out crews to cut back invasive pasture grasses and weeds on a weekly basis. But the effort has been absolutely worthwhile: thanks to good rains and a great deal of work, the vast majority of the saplings are prospering and some trees are now 8-10′ high.